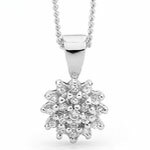 WIN a $50 Just Jewellery Gift Voucher in our Autumn Jewellery Competition. This jewellery competition is open to Just Jewellery newsletter subscribers. Not already a member? Just join by entering your email address at the top right of the website. Don't forget to send the email from the email address you subscribed with. Information on how to enter this jewellery competition and prize details form part of these conditions of entry. Entry is open to subscribers of the Just Jewellery newsletter. Employees of Just Jewellery and their families are not eligible to enter. No responsibility is accepted for lost, late or misdirected entries. Promotion commences Saturday 1st March 2016. Entries close Saturday 31st May 2016. Chance plays no part in determining the winner. The winner will be notified within 7 days of the promotion closing date. Judge's decision is final and no correspondence will be entered into. The prize is a Just Jewellery Gift Voucher valued at $50 by Just Jewellery. The image shows samples of items valued up to $50 at Just Jewellery at the time of the promotion commencement. The prize is not transferable or exchangeable and cannot be taken as cash. The best entry is determined by the judge, an employee of the Promoter. All entries become the property of the Promotor, Just Jewellery. The Promoter is Just Jewellery, PO Box 883, 48 Majors Bay Road, Concord, NSW 2137 Australia. The Promoter is not responsible for any loss or damage to prizes once they have been shipped. 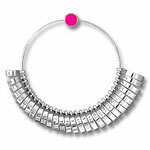 The winner's name may be published in the Just Jewellery newsletter and on the Just Jewellery website.